May 17th - June 22nd Off the Beaten Path Prints by J. Ann Eldridge and Photographs by Bill Duffy Opening Reception Saturday, May 17 - 4:00 to 6:00pm. Admission is Free. 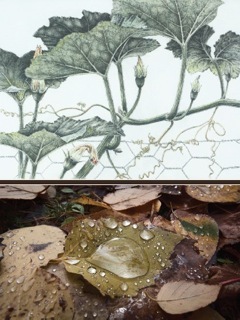 Husband and wife Vermont artists, Jude and Bill, present works of a horticultural nature. The show is open weekends, 1:00 – 5:00 pm from 5/17 through 6/22.